Being Retro: Bones: Cute, Creepy or Disturbing? 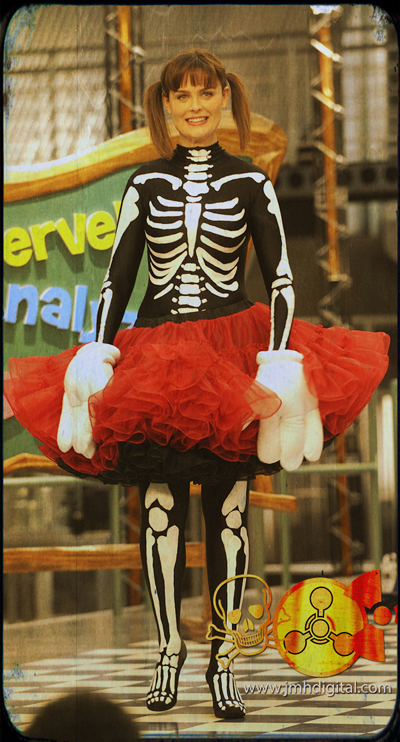 You decide if Dr. Temperance 'Bones' Brennan is Cute, Creepy or Disturbing? Thats actually kinda creepy. lol. I adore her character SOOO much! The things that she says sometimes kills me! I'd wear it, minus the Mickey Mouse gloves. I liked her better dressed as Wonder Woman. But she's cute here, too.
" I am what I am " ... that's Popeye! :) Anywho. CUTE I'd say!